Bring your island-theme party, wedding or any event to new heights with Moko Jumbies! What are Moko Jumbies, you ask? They are stilt-walking masquerade dancers practicing an ancient form of dance. Often a highlight of a trip to the Caribbean, these dancers are stunning and beautiful in their artistry. Colorful, entertaining, and entirely out of the ordinary, our Moko Jumbies, are the most revered in Florida. 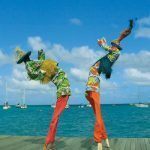 Yes, you can go to the Virgin Islands to find such highly skilled Moko Jumbie dancers, but why not bring this beautiful dance art to you—at your next big event in Florida. Your guests will be in awe of this dance and entertainment sensation… the colorful costumes, intriguing masks and rhythmic dancing on stilts. Whether you live in Miami Gardens, Coral Springs, Miramar, Pompano Beach, Miami, Hialeah, Fort Lauderdale, Pembroke Pines Cape Coral, or Hollywood Florida. Make your next party an event to remember. We used RythmTrail Moko Jumbies for the entertainment portion of our annual Scholarship Banquet. Our audience is made up of mostly lawyers, judges and law students but we also have individuals from other industries. Most of our guests are from the Caribbean but some are not, so we have a very diverse audience to please! We had a wonderful experience working with RythmTrail from start to finish. They are very responsive to email and the contract negotiation and signing process was very smooth and quick. They arrived to our event with more than enough time to get ready, were VERY agreeable and “low maintenance” and did a wonderful performance that was loved by all. I would recommend them in a heartbeat and hope to use them again in the future! The stilt performer brought added excitement to my daughters’ sweet 16. It was different and the guest did not expect it. Everyone was amazed and some participated by walking through the legs of the stilts while others were clapping to the beat. Awesome! 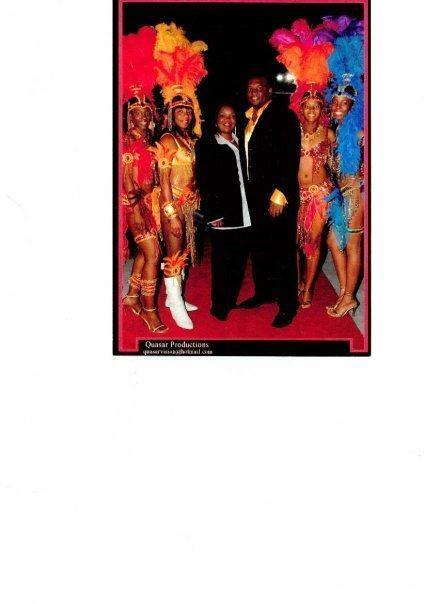 Moko Jumbies / Stilt Dancers performance tonight for a Wedding Reception in Miami FL. Moko Jumbies on show tonight at all the Bahama Breeze Restaurants in Orlando area for the Island Junkanoo New Years Eve Bash. Final stop Bahama Breeze on I-Drive for the ball drop count down to 2017. Also tonight Mar 19 2016 our Moko Jumbies will be opening with KC and The Sunshine Band at Hard Rock Hotel and Casino in Hollywood Florida. This will be our stilt dancers second year in a row with KC and The Sunshine Band, we are the best moko jumbies out there. Event update Mar 19 2016 today our Moko Jumbies will be on show at Rosen Shingle Creek Resort, Orlando FL for a corporate reception. 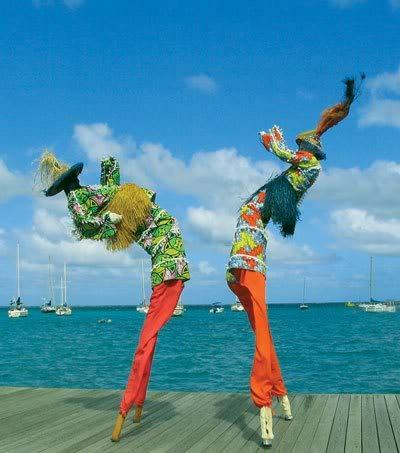 The stilt dancers and stilt walker, Caribbean Mocko Jumbies in the business. Our Moko Jumbies will be at the Don CeSar tonight performing at a Corporate Functions. 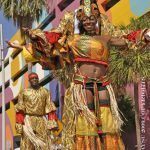 Hire Stilt Dancers, Stilt Walkers and Moko Jumbies for events in Florida. Our Moko Jumbies, stilt walkers and stilt dancers will be doing a performance tonight in Daytona Beach Florida at the Hilton for a corporate function. Hire the best entertaining stilt dancers, stilt walker Caribbean Moko Jumbies for a fu time at your corporate event, wedding, party etc. We are the best. Don’t have a boring old street party or special event in Miami Beach, Boca Raton, West Palm Beach, Key West or Kendall, FL; you should get a quote for hiring Carnival Girls & Carnival Dancers. 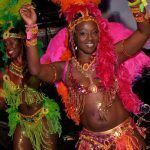 They will add a Caribbean feel with their fascinating costumes and authentic dancing. Your guests will be dancing along with them at your Deerfield Beach, Boynton Beach, Delray Beach, Homestead or Naples Florida event. 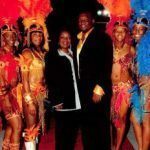 The Carnival Girls & Carnival Dancers will have your guests feeling like they stepped onto a Caribbean Island although they are still in South FL. People will be dying for an invitation to your next event! Do you want to WOW your guests at your Florida street fair or other outdoor extravaganza? You should get a quote for the spectacular Fire Dancers, Fire Performances & Fire Eating Contortionists in Gainesville, Melbourne, Daytona Beach, Pensacola or Ocala, FL. 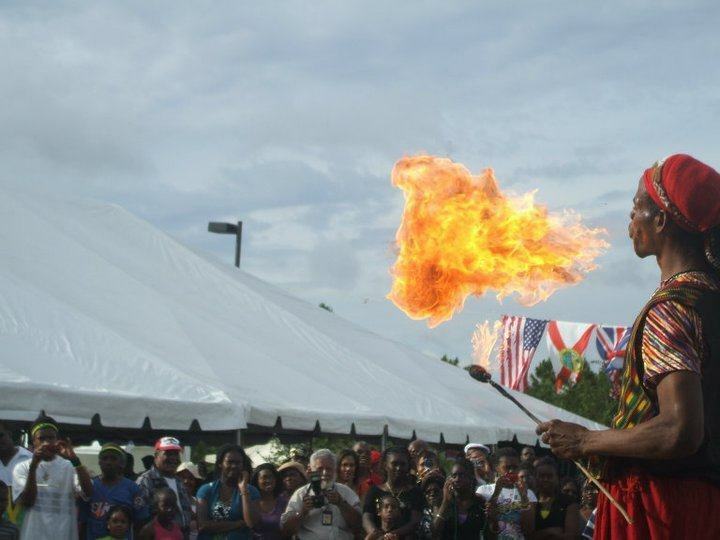 These are the best Fire Dancers, Fire Performers & Fire Eating Contortionists in the state of Florida. They limbo under flaming poles, eat fire and perform many other tricks with fire. 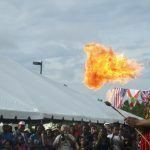 The fine people of Bradenton, Sarasota, Panama City, Cocoa Beach and St. Augustine know how much fun Fire Dancers, Fire Performers & Fire Eating Contortionists are at an event. Your guests will be bragging about your party to everyone they see so get a quote today! 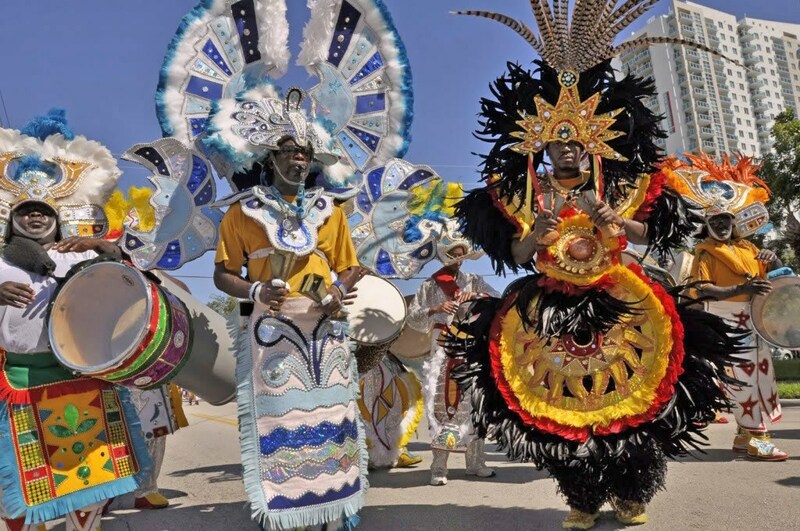 Whether you’re at Marco Island, Marathon, Islamorada, Orlando or Jacksonville FL, you can’t have a Bahamian style party without a cool Junkanoo Band. Few things are as cool as listening to the music of the Bahamas and moving to the beat that the islanders love. The colorful costumes and headpieces will impress all. 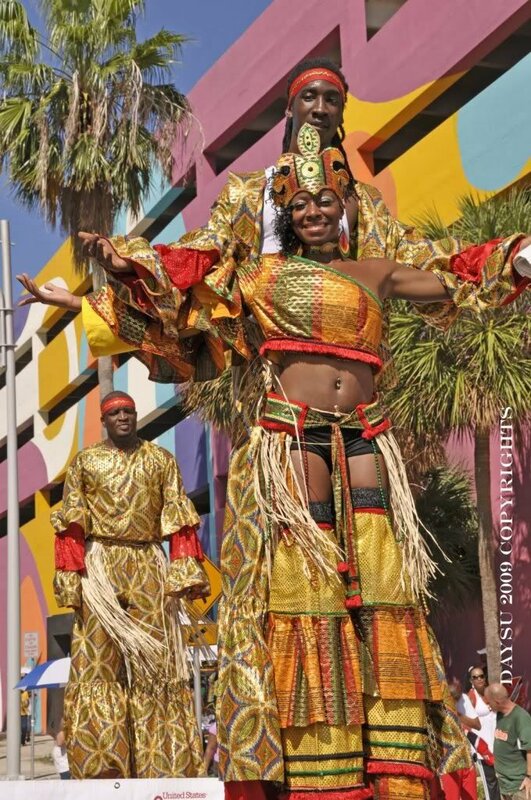 The Junkanoo Band and dancers began as a way to celebrate the days off that were given to slaves. 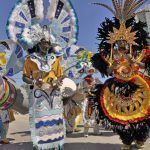 The festive Junkanoo Parade music will make your Tampa, St. Petersburg, Tallahassee, Port St. Lucie or Clearwater Florida event one that people will truly remember. You should get a quote for hiring a Junkanoo Band for your FL party. We hired your Junkanoo Band on August 17, 2012, for my son and his bride’s Wedding Rehearsal Dinner at Ceviches in downtown St. Petersburg, Florida. Prior to our arrive you met with management and went over the venue and program. What came of this was extra-ordinary in the finest way. Not only was everyone delightfully surprised, but a lot of folks came out of their buildings into the street, surrounding the band with awe. Almost all were taking videos and pictures! When the Junkanoo Rush was complete, everyone stood applauding (but mostly screaming with excitement). All were fascinated! Many people are not aware of Junkanoo which is a Bahamian Tradition. Viva Junkanoo, a most excellent and flavor-filled art form! Ephraim, you had everything perfectly coordinated. We had a strong sensation of actually being in the Bahamas. It was something which no one will ever forget. from Trinity Episcopal Cathedral to the Double Tree Hotel next door in Miami FL. Media day today for the Island Junkanoo New Years Eve Party for Bahama Breeze Restaurants in Orlando area. Our Junkanoo Dancers will be promoting on local new channels today. 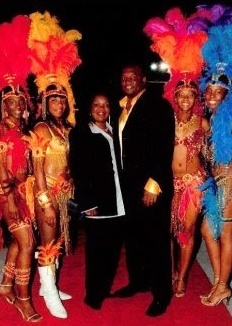 Junkanoo Band performance tonight for a private party in Fort Launderdale FL. Junkanoo Dancser will be performing tonight at Christ Episcopal Church in Miami FL for a Family Reunion.